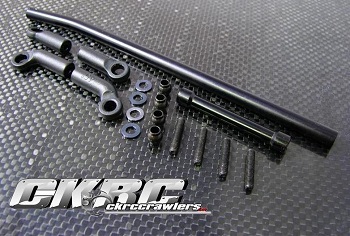 Ckrc HD steering bar upgrade kit for the Axial Wraith. This tie rod has only one bend to clear the differential and prevent the tie rod from drooping down which is typical with double bent tie rods. 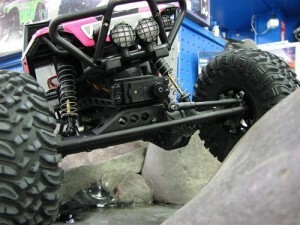 The tie rod also comes in scale looking black. Please Note: A radio with End Point Adjustments is recommended for proper operation.